The Association was formed to provide financial and other support for Ohio High School Athletic Association (“OHSAA”) sanctioned (“Varsity”) hockey programs at all Dublin high schools, and such club teams (“Club”) as are necessary to operate a well-rounded program. 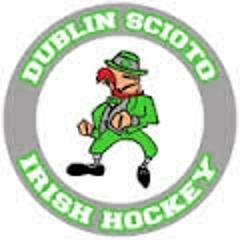 The Association’s goals are: 1) to provide a positive high school hockey and academic experience for Dublin City School District ("District") students, 2) for its programs to be competitive statewide, and 3) for its players and parents to be ambassadors for the District and the game of hockey. Board members shall, to the extent possible, make decisions which are best for all players within the Association. Thank you for your interest in Dublin Ice Hockey. If you wish to receive information about our program and activities, please register and indicate which teams you would like to receive information for. Summer clinics/practices take place in June and July each year. Pre-season practices take place in September and October. All Dublin City schools hockey players grade 9-12 are welcome to attend. Ice times and dates will be posted on the web site when they become available. There is a summer high school league run by the Chiller Ice Rinks in which we enter teams made up of JV and Varsity players. We hold monthly Association meeting which are open to all parents. They are usually held at 7:30 PM on the third Wednesday of the month at one of the Dublin high schools. This information will be posted on the web site prior to the meeting date. Tryouts are held on the first full weekend in November each year. This is the earliest we are allowed to hold tryouts under OHSAA rules. The varsity teams play in the Capital Hockey Conference. DHSHA was registered with the IRS as a 501[c] non-profit youth sports organization, and a tax return is filed annually with IRS and Dublin City Schools. We support all Varsity programs, Coffman, Scioto and Jerome, plus the JV teams. Our annual budget is approximately $200,000. We are governed by elected officers: President, Vice-president, Treasurer, Communications Secretary, and two trustees from each varsity program and each JV team. The membership votes each April on the following year’s officers. Open meetings are held year round, as are Executive Committee meetings. We conduct various fundraisers throughout the year including Kroger rewards program, transportation for Memorial Tournament Parking in early June, and a beverage tent at the Dublin Irish Festival in August. Families may also help to offset their costs by selling ads for the regular season program, the Allgeyer Tournament program as well as Varsity team posters. 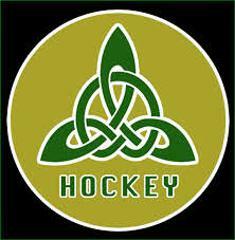 Volunteers maintain the website, www.dublinhockey.org with individual pages for each team. You can click on the Association pages to find out information about upcoming meetings, committees, contacts and any important news. The web site is updated frequently and all are encourage to use this as an avenue of staying informed and current with important information. If you have any questions or concerns please contact our Secretary. You Can Help. If you have information for the early teams, such as team pictures, snapshots, programs, rosters, statistics, schedules, scores, or clippings, that you will allow the web site to copy, please email the Association web site by clicking the email icon below. Please advise of any corrections to the information listed on the history pages. Thank you.